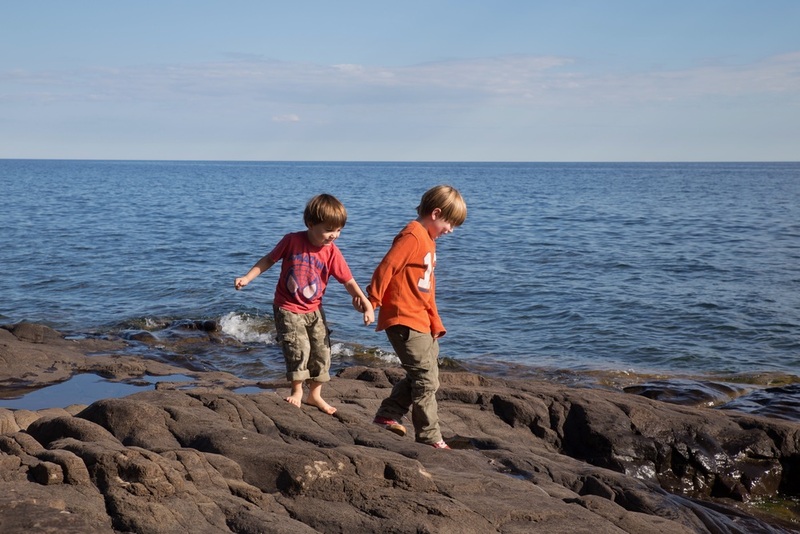 Last weekend we headed back up to the North Shore where the boys were all about collecting rocks again! Oh I just loved our little adventure. We packed so much in! Hikes, pie for breakfast, rock collections, the alpine slide... Everyone is still buzzing today from all the fun over the weekend. Truthfully I was a little mad that school was starting again and cutting into our adventure time... but now I remember how good it feels to have a little structure and scheduling. It feels healthy! And the weekends are pure bliss.